Support the Swamp, the eviction of the Swamp has started. 07.00h: workers from Borghese open the fence that separates the Swamp from the neighbors field. 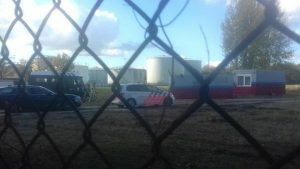 10.30h: Police vans arrive to the field. Eight cops entered the terrain and a bailiff started to walk around asking people to leave. 11.00h: the first arrest police van arrived. 11.20h: five people have been found inside of the Swamp, the bailiff hopes there’s no one else in places hard to access or hiding.It won’t be that easy. The Swamp will resist. This week the judge decided to make the eviction of the Swamp possible. This means that birds, rabbits, bats, rats, insects and people lose their living space and a young forest will be killed. All to make space for more asphalt, another distribution center and a bus parking that could be built somewhere else. The judge ignored that the owner, Borghese Real Estate B.V., hasn’t even asked for permits to cut the trees on the part of the Swamp that is not destroyed yet. We won’t let yet another one of the very few places of green in the city of Utrecht be killed. We won’t move from out self built community where we live together with nature, as self sufficient as possible, and free. We call out to all people to defend nature here with us, or in your own way, everywhere. We expect the eviction of the Swamp soon after Wednesday the 31st of October, next week. Utrecht: Defend the Swamp. Come to the court case! 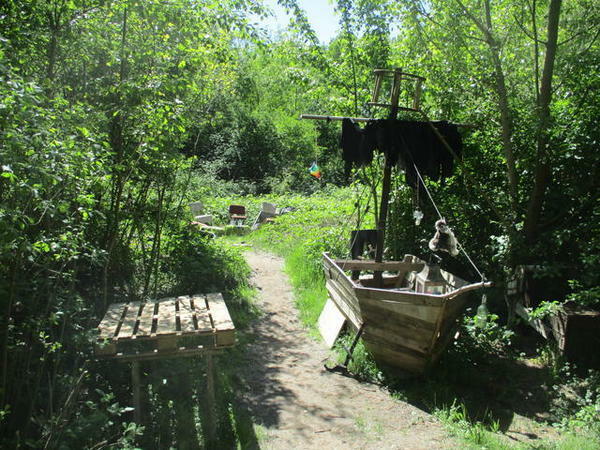 After 5 years of creating alternative living spaces with nature, the Swamp, Kanaleneiland, is being threatened with destruction. The state and the company Borghese are working hand in hand to turn the Swamp’s beautiful young forest into asphalt to then build a distribution centre and a bus remise, while there are alternative locations for these projects where the destruction of nature isn’t necessary. From the Hambach Forest and ZAD evictions, to the ADM case and the expansion of the A27, time after time, people and nature have to defend themselves against capitalist greed and neoliberalist development policies. 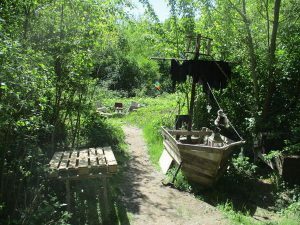 The Swamp became a space of living and sharing with people and nature, outside of consumption trends. In a city where the waiting list for expensive “social housing” is endless, we decided to build our own houses and work in a sustainable and self-sufficient way. In Kanaleneiland in particular, only a couple of years back social housing was sold to private corporations behind people’s backs. 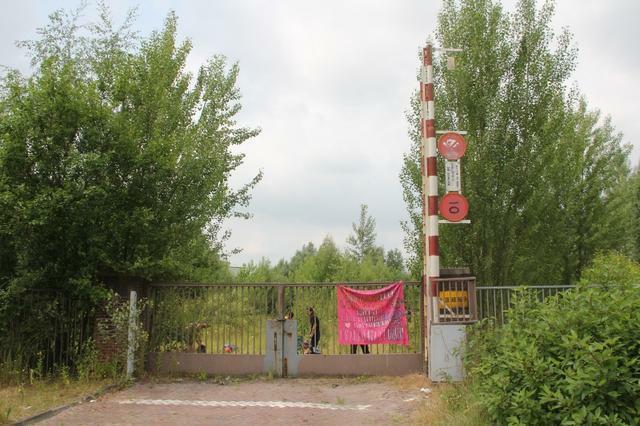 While the Netherlands presents itself as a “green country”, green spaces in the city keep on disappearing. We are not the only ones being evicted from the Swamp. Birds, rabbits, bats, bees and other animals and insects will also lose their living spaces.